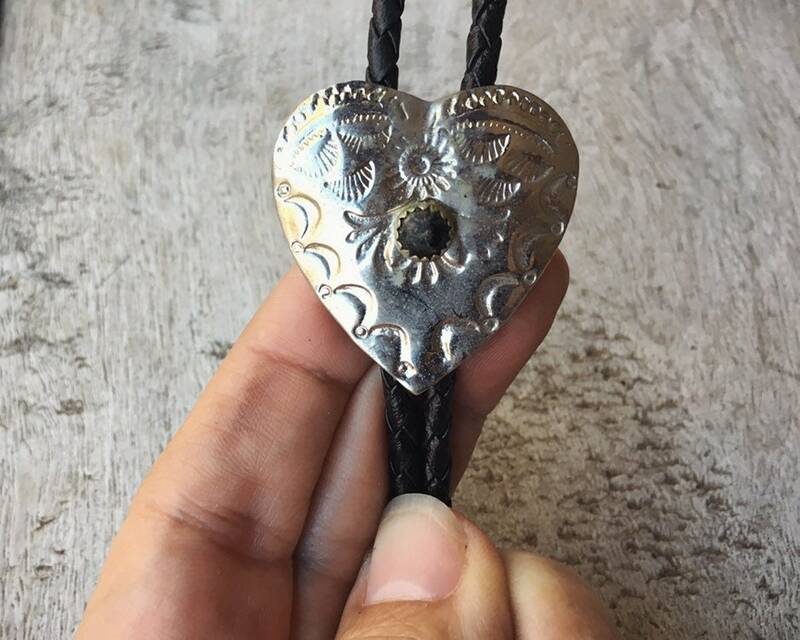 Here we have bolo tie that is a simple stamped silver heart with a small black onyx cabochon in the center. 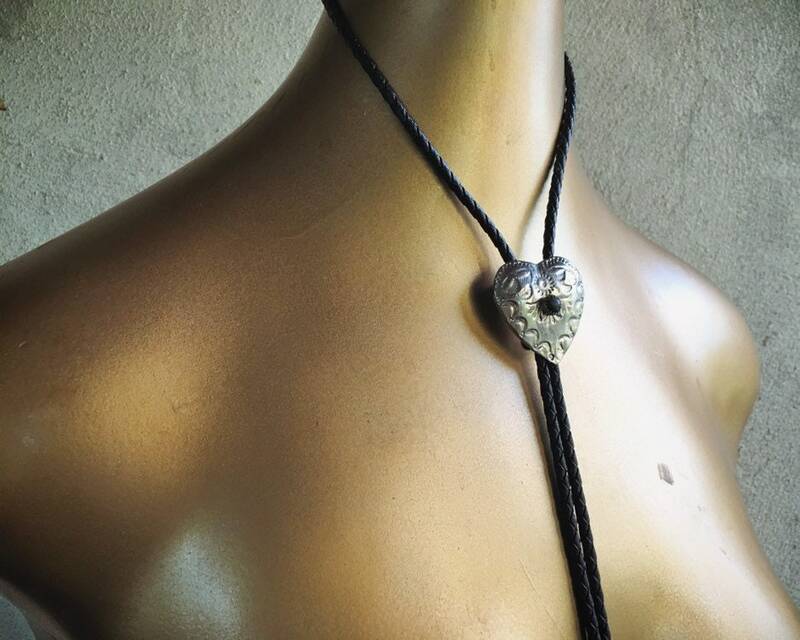 The heart shape makes it a great bolo tie for women, but also for the man who has heart! Not too large, not too small. 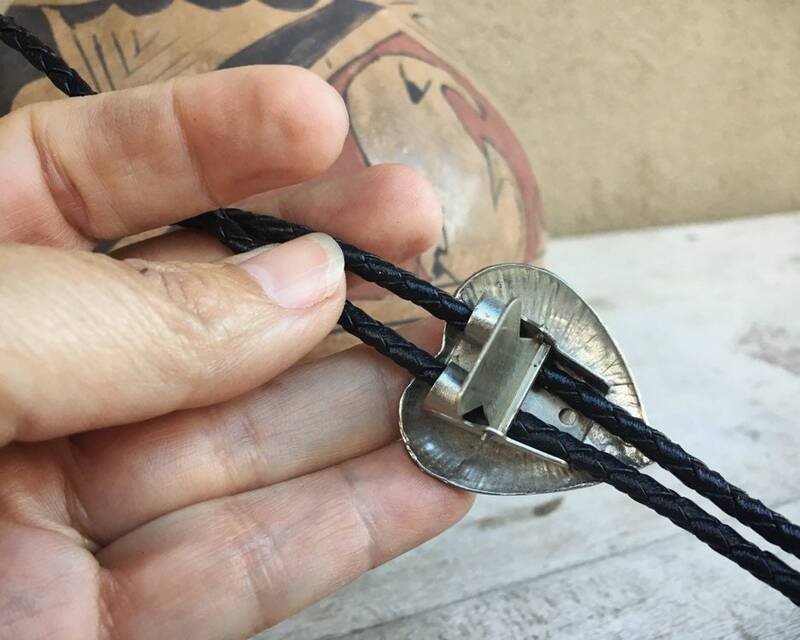 On original black leather lariat, and inexpensive silver tone tips. 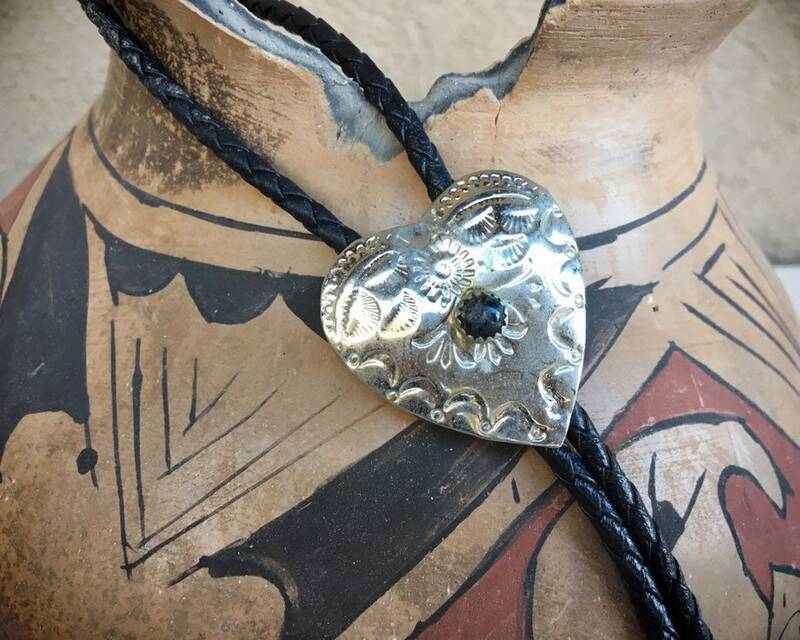 Since the piece is unsigned we cannot say for certain that it is Native American; hence, we call it Southwestern. 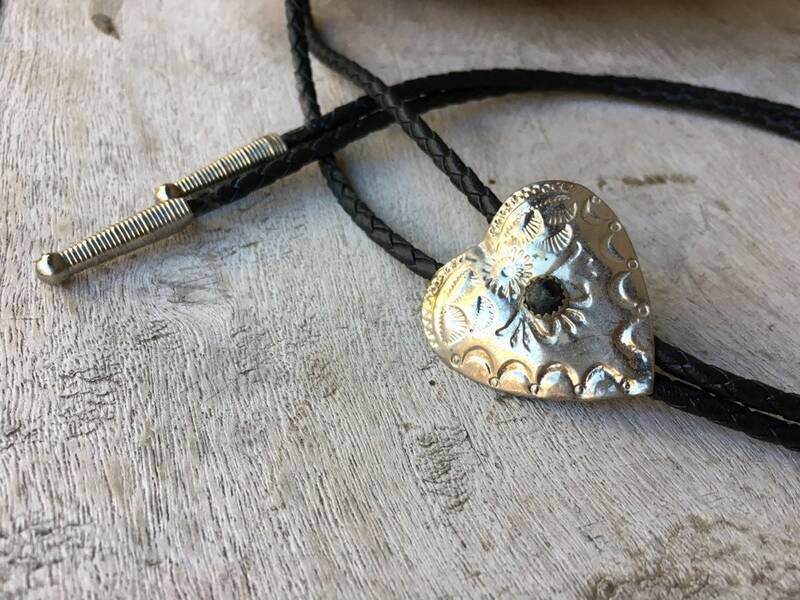 The bolo "slide" (the main part of the bolo tie) measures about 1-3/8" long by 1-3/8" wide, with the onyx cab being 3/16" in diameter. 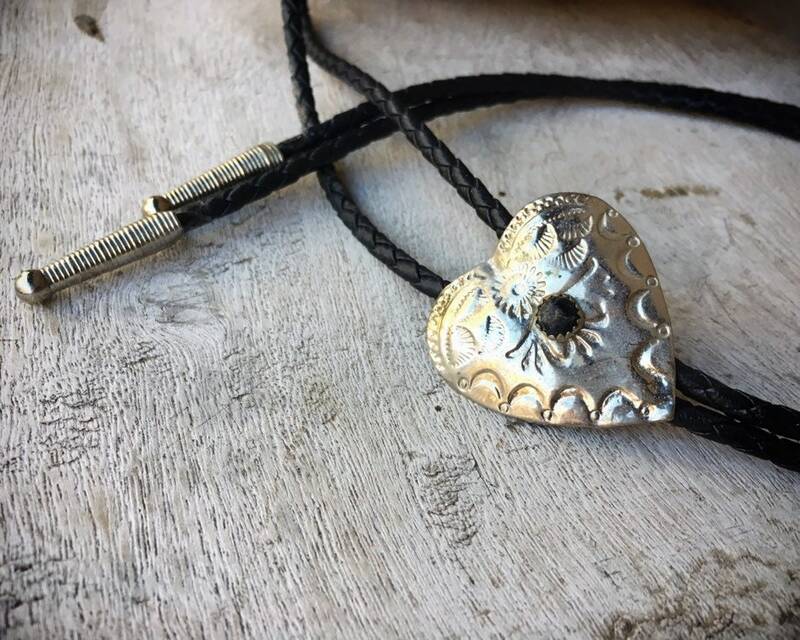 Is unmarked yet tests positive for silver plate. Tips are NOT sterling, however. In good vintage condition. 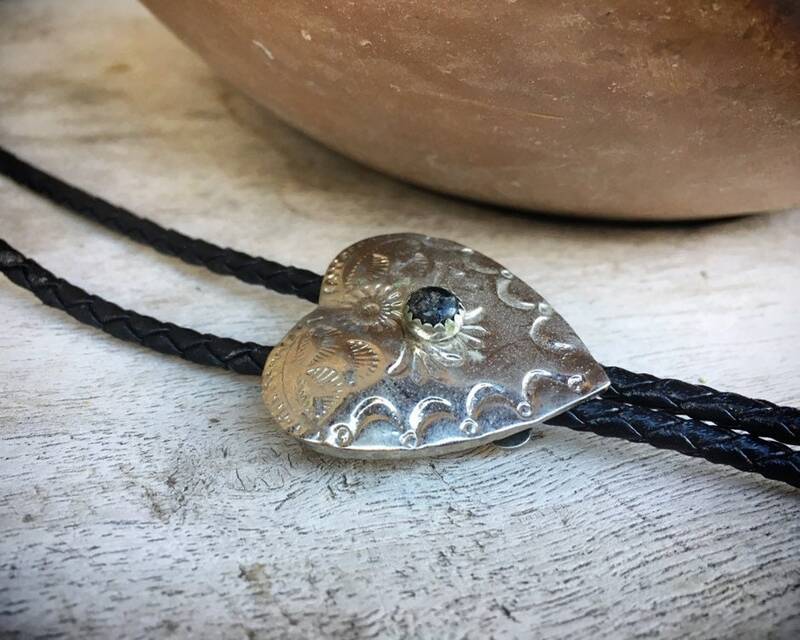 Black tie--of a different kind.